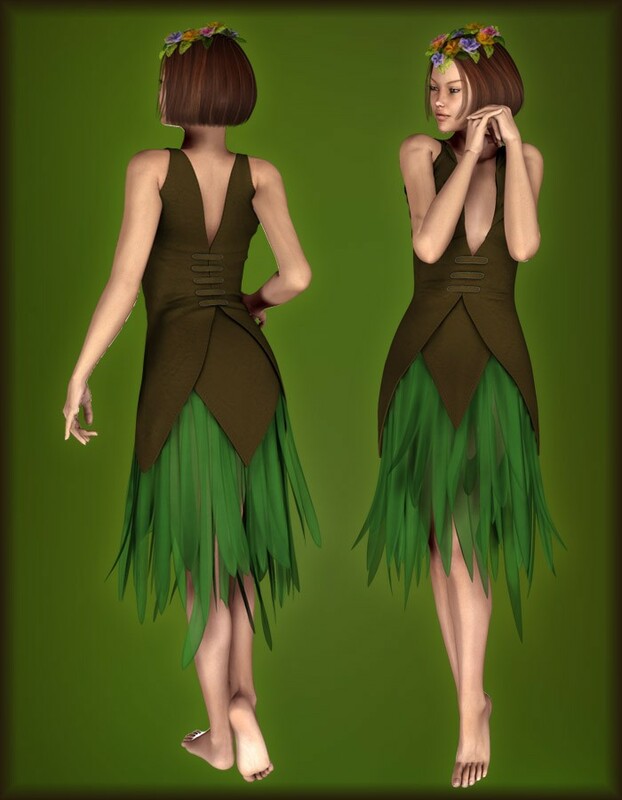 Frolic in the forests with Vicky in this gorgeous Woodland Fae Dress. 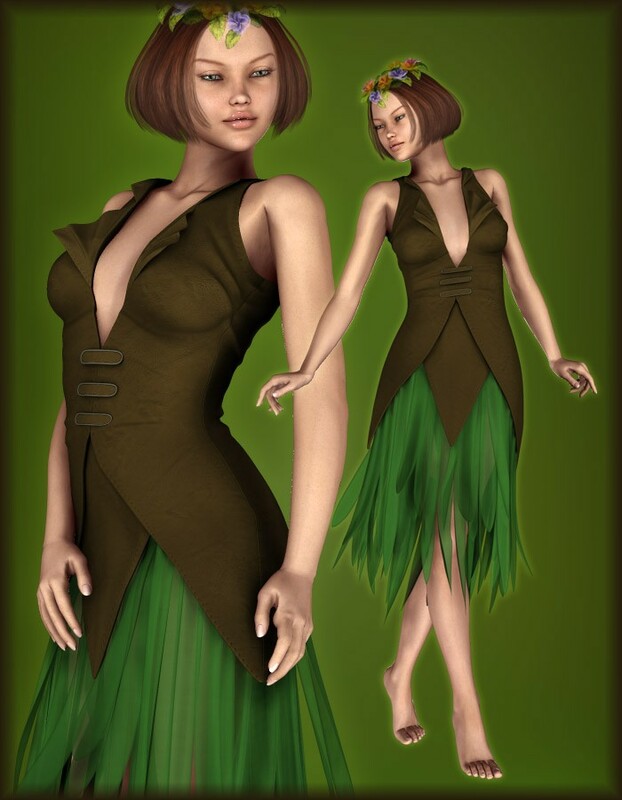 This outfit has a strappy low-cut top with front and back clasps, and a leafy skirt. 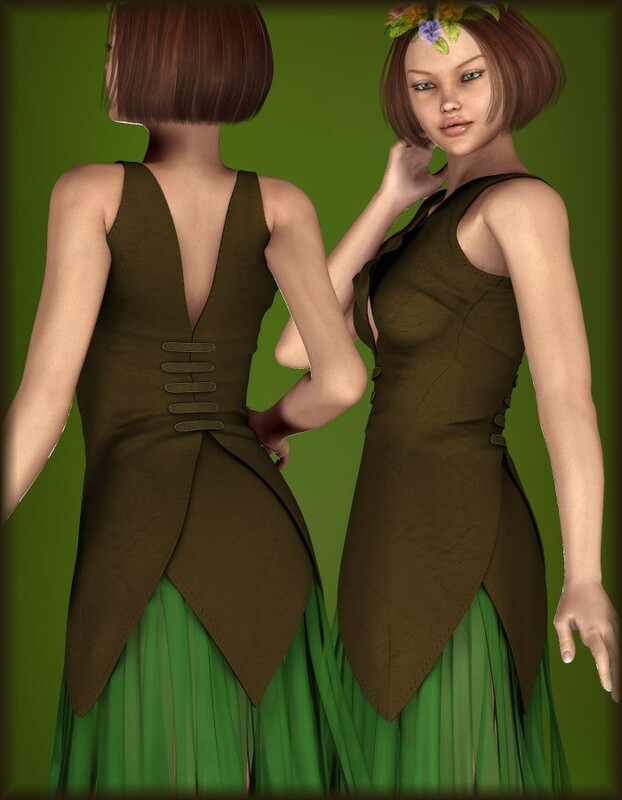 It also comes with all applicable CrossDresser adjustment morphs for easy posing.